Save the dates! We will host our STUCK FOR A BUCK events on Wednesday, April 17 for Grades 3 to 5 and on Thursday, April 18 for Grades Pre-K to 2 and we promise you that your children will be thrilled! Students and staff members will have the opportunity to purchase strips of tape (1 strip of tape = $1) and work together as a school to tape one or two lucky teachers to the wall. Who will be taped this year? Stay tuned for more details! Because of YOU and everyone at PS 217, we will be one step closer to a world without blood cancers! learn about the nomination process for the Parents Association Executive Board! Several positions within the PA will be vacant for the 2019-2020 school year and we are excited and hopeful that new volunteers will decide to join our executive board! Time commitment varies, so please don’t opt out if you are interested but worried about the time commitment – there are positions both big and small! The current executive board can help suggest positions that are a good match for your interest, time availability and skills. Pizza dinner will be served. Save the date: PA Elections will take place on Friday, May 20th, 2019. PS 217 Kindergarten registration continues every Monday, Tuesday, Wednesday and Thursday, 8:30-11:00 am, until April 17. What do you need to know when you come to register? Please keep in mind that there is NO registration on Fridays and during Spring Break (April 19-26). Friday, June 21 2019, 5:00 PM – Senior Dance in the PS 217 Cafeteria. Many parents are needed to plan, set up, decorate and transform the lunchroom into a magical place. June 2017, Date TBD – Awards Ceremony. The Awards Ceremony will take place in the PS 217 Cafeteria. All our graduates will be celebrated and rewarded for their efforts. Senior Dues – $120 per child, due by April 5th. If you are interested in volunteering or if you want to be part of the 5th Grade Activities Team, please contact Amy Moy at moy1976@gmail.com or Parent Coordinator Mara Dubovici (Room 109 / LDubovici@schools.nyc.gov / 718.434.6960 x 1). The deadline to complete the survey has been extended to Thursday, April 11! Don’t miss your chance to take the survey and give us your feedback! We want to hear from each and every one of you. If you still want to return a paper survey, please do it a few days before the deadline, so that we can mail it on time for the April 11th deadline. PS 217 has accepted the challenge again this year to help find a cure for blood cancer! We are joining over 27,000 schools across the nation to make a difference and raise as much money as we can and! 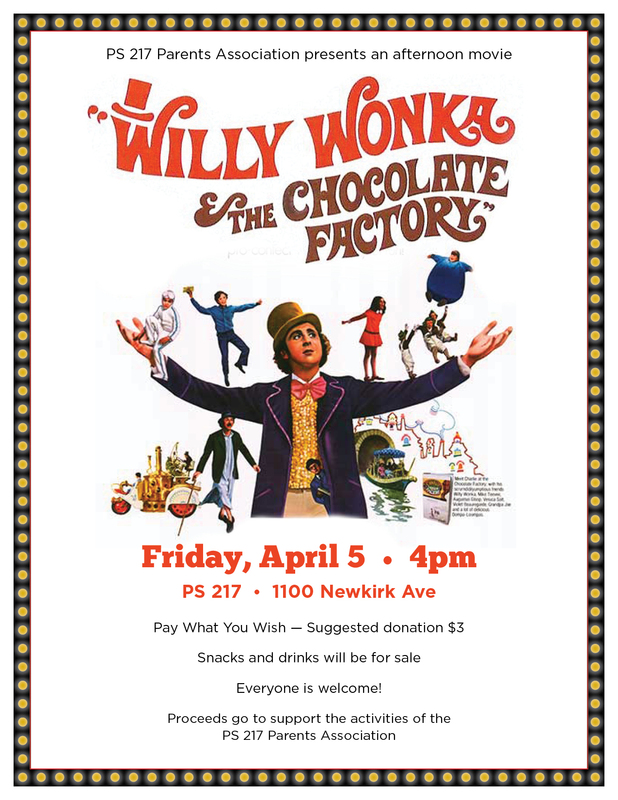 In partnership with The Leukemia & Lymphoma Society, the world’s largest voluntary health organization dedicated to fighting blood cancer, PS 217 will be working hard to raise $5,000 during the month of April. How to be a part of it? Help your child fill up their individual donation box and return it to school. From pennies to quarters and even paper money, we accept them all! When your child raises $5 in the coinbox, fill out the coupon that was sent home and send it back to school with your child. In return, your child will receive a POWER RING! Create a new account, or if you ever had a fundraising page for LLS sign in with your username and password. Create your child’s online fundraising page. Just by registering ONLINE your child your child gets a SQUAD TATTOO! Share your child’s fundraising page with friends, family and co-workers through e-mail and social media. Have you ever seen someone stuck to the wall? Many of our students did. Last year we had an astounding success and lots of fun taping Mr. Bonilla and Ms. Buckley to the Cafeteria wall, all for a charitable and philanthropic cause! We are ready to make it even bigger this year. Get ready for two days of fun for your kids. We will host our STUCK FOR A BUCK events on Wednesday, April 17 for Grades 3 to 5 and on Thursday, April 18 for Grades Pre-K to 2 and we promise you it will be epic! Students will have the opportunity to purchase a strip of tape and work together as a school to tape one or two lucky staff members to the wall. Who will be taped this year? Stay tuned for more details! We are thrilled that our proposal for a new sound system for our auditorium has made it onto the ballot for participatory budgeting in District 40 (Council Member Mathieu Eugene). If you live in Mathieu Eugene’s district, you are eligible to vote if you are age 11 or over. Voting starts tomorrow, Saturday March 30th, and ends Sunday April 7th. You can vote online, or visit various sites where voting will happen by ballot in person. Please see the attached flier for instructions. In addition to the sites listed on the flier, voting will happen in front of PS 217 next Wednesday April 3rd and Friday April 5th at drop off and pick up. Please vote for the PS 217 proposal! And please encourage your middle school, high school, and college aged PS 217 alumni to vote as well!